The second shifter series has begun and I'm happy to introduce you to Brandt, Brennan, and Bo. 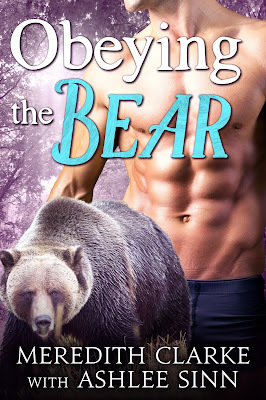 These grizzly shifter brothers are three different men with three very different taste in women. The first two are available now and Bo's story will be here at the end of June. Emma Davis tried to escape her life in Alaska. But when she hears about the death of someone close to her, obligations force her to return to the family she abandoned. The Callaghan bear clan had been her home for years, and Brandt Callaghan her mate. He’d done everything right and had always taken care of her. Yet it was her bear’s restlessness that made her run, and the lack of choice that frightened her human half. But now she’s back, and Brandt is as tempting as ever. Emma suddenly finds it hard to choose between the life she left and the one she’s discovering she always desired. Brandt Callaghan wants nothing more than to take a break from the pressure of being his father’s oldest son. Yet a family tragedy puts him in the spotlight as the next clan alpha. He thought he’d never be able to face that challenge…until Emma comes back into his life. Her presence gives him the strength he needs to lead the Callaghan clan and the confidence to fight for his mate. But as tension within the clan increases, and Emma’s life is threatened, Brandt is forced to protect what he loves. At any cost.